Dimensions 0.50 by 5.25 by 6.50 in. For fans of The Maze Runner and The Fifth Wave, this debut YA novel from Hugo Award-winner Will McIntosh pits four underprivileged teens against an evil billionaire in the race of a lifetime. Sully is a sphere dealer at a flea market. It doesnât pay muchâAlex Hollidayâs stores have muscled out most of the independent sellersâbut it helps him and his mom make the rent. No one knows where the brilliant-colored spheres came from. One day they were just there, hidden all over the earth like huge gemstones. Burn a pair and they make you a little better: an inch taller, skilled at math, better-looking. The rarer the sphere, the greater the improvementâand the more expensive the sphere. When Sully meets Hunter, a girl with a natural talent for finding spheres, the two start searching together. One day they find a Goldâa color no one has ever seen. And when Alex Holliday learns what they have, he will go to any lengths, will use all of his wealth and power, to take it from them. Thereâs no question the Gold is priceless, but what does it actually do? None of them is aware of it yet, but the fate of the world rests on this little golden orb. Because all the world fights over the spheres, but no one knows where they come from, what their powers are, or why theyâre here. About: For fans of The Maze Runner and The Fifth Wave, this debut YA novel from Hugo Award winner Will McIntosh pits four underprivileged teens against an evil billionaire in the race of a lifetime. 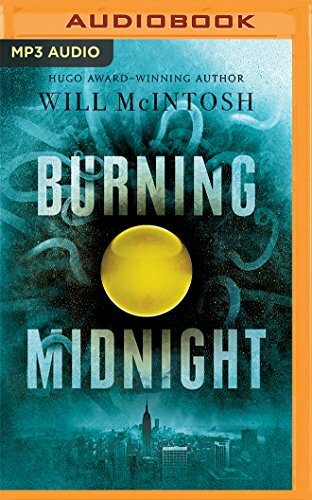 About: For fans of The Maze Runner and The Fifth Wave, this debut YA novel from Hugo Award-winner Will McIntosh pits four underprivileged teens against an evil billionaire in the race of a lifetime.